There is one notion amongst majority of Indians that Kerala is a land of Communists. And listened to statements as wild as this '..because you guys are all communists, people in your state are very intelligent'. I have had worse moments in my life than explaining this person out of his prejudice. This wrong notion that 'we are somehow politically intelligent' has crept into our minds as well. For no reason we believe that Kerala is the most 'politically aware' state. And there are ample statistics to match our baritone. Like for example we are a state with High Human Development Index (HDI), High Education, Least in female feticide etc. I could go on and with the help of some amount of googling I could make a daring presentation about my state. Wow, I am blessed to be born in this state. Aren't I?? -late as the elections are nearing and as we close down to the April 10 mark. Its as if the left and right front have undergone a holy dip in Ganges . They are still framed as the front runner and expected to share the 20 seats almost equally. So what happened to the multitude of issues blared out all season? Newspapers and News Channels were making the living hell out of these politicians and now all of a sudden they are backing them to win again? Having said that, it is no point in blaming them politicians or media. It comes down to us voters. Doesn't it? handicapped when it comes to Change. 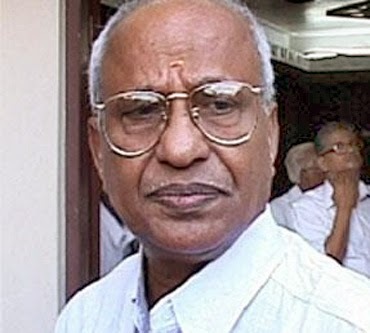 Take the example of O.Rajagopal. Here is a guy who has done a tremendous job in his short stint as a Railway Minister. And everyone acknowledges his work for our state equivocally. But as they say its hard to convert praise to votes and time and time again he ends up on the losing side. Some say its because of the general disdain towards BJP that has been costing him a much deserved seat. But I would argue it comes down to our political stubbornness. And then there is a veil of hypocritical secularism to vote for Muslim league but not for BJP. So in every way it proves my earlier statement that we find an excuse to vote for the same old parties. There are no swing votes as such in Kerala. Its either vote for the major two front's or not vote at all. 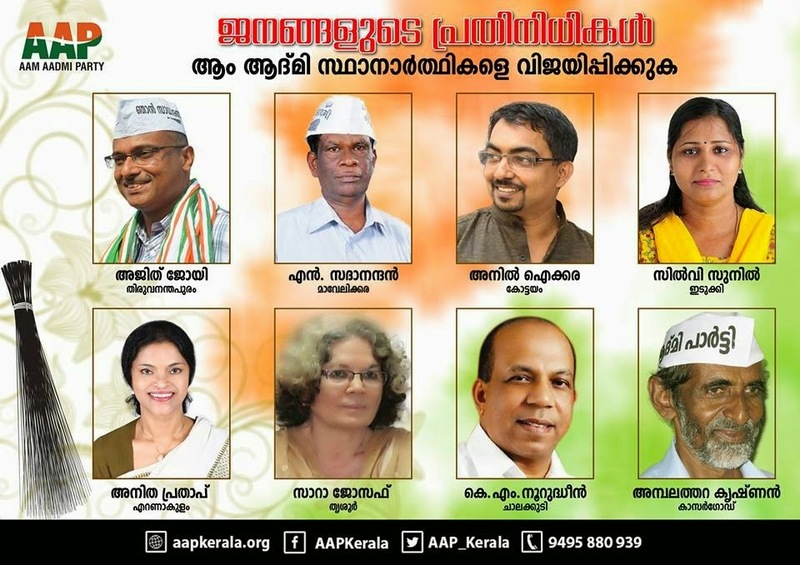 In my opinion Aam Aadmi party is like a litmus test for Kerala politics. For all these years we cried, complained and mocked the ineptitude of Right and Left front politics. 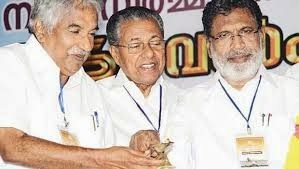 And with some great candidates in AAP this should be the opinion to seize upon and send the right signals to age old political foundations in Kerala. And lest we miss this chance we must not crib and holler but swallow it like a bitter pill. Because in the end its our own votes that brought our state to this state.